We supply a range of Britax sirens and speakers to suit different applications and vehicle types. Sirens are essentially a box with electronics and an amplifier built in, along with either a built-in or remote control panel. 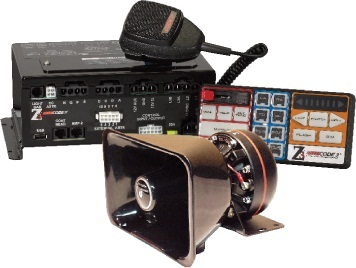 Some models feature a public address system with microphone, while others are able to control vehicle lighting systems and siren using the one easy to use control panel. Britax and Code 3 speakers are high quality and extremely loud, with a range of different styles and shapes to suit different vehicle grilles and mounting positions. Speakers are supplied separately allowing body builders to mix and match sirens and speakers to their client’s exacting specifications.